Hello IS•LY readers. 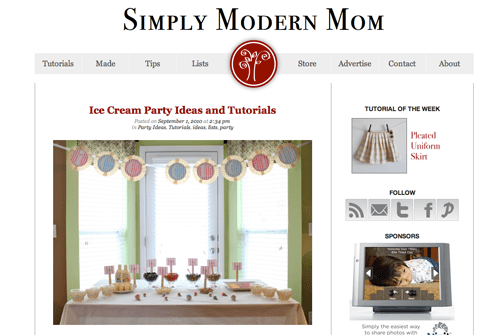 I’m Tiffany from Simply Modern Mom. And I am excited to be here to share with you my proudest DIY moments. Going through my list of tutorials, I had a hard time deciding which one was my favorite. They all had a special meaning to me at one time or another. 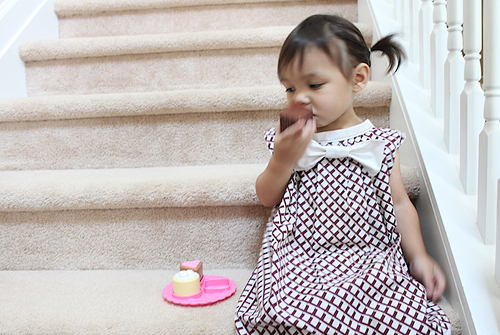 After contemplating it for a few days, I decided to go with my pillowcase dresses — the pleated bow pillowcase dress and the retro ruffle pillowcase dress. The reason why these are my proudest DIY moments is because they were the first dresses I designed all on my own. The ideas popped into my head then I sketched out the idea, figured out the measurements and how to piece it all together. I also used pillowcases I found from the thrift store for 50 cents each. It was no big deal if the dresses didn’t turn out. But since they did turn out, I made my daughter two new dresses for 50 cents each! 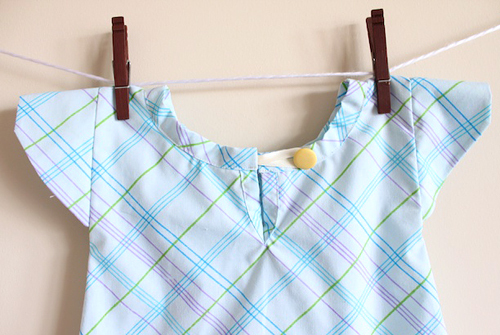 This pleated bow pillowcase dress turned out differently than I had sketched in my book. Originally it had pleated sleeves and just pleats in the front. Once I started making it, I forgot the sleeves and added the bow because I thought the pleats alone looked a little plain. And the white trim at the bottom of the skirt was a last minute idea. I had scraps leftover from the pillowcase and didn’t want it to go to waste. Next, the retro ruffle pillowcase dress was actually my first pillowcase dress design. I found the pillowcase first and loved the pattern and colors. I knew I wanted to make a dress out of it and give it a retro style. This dress turned out great except I made the collar a little too big. It didn’t turn out to be a huge deal because I could tighten by shortening the ribbon on the back of the dress. 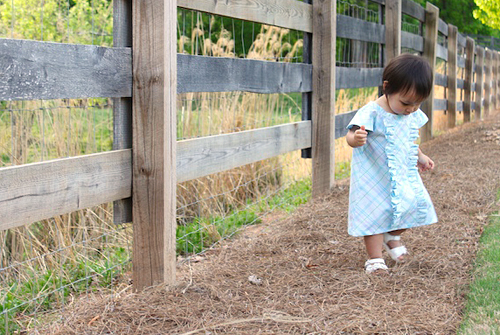 I love little girls in blue dresses, don’t you? 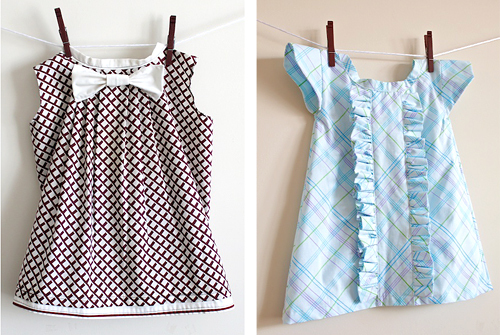 If you want to make these dresses, go to Simply Modern Mom for the full tutorials. these dresses are adorable! And the kids!!! those are too cute! what a great idea. I love those dresses! Especially the brown one. These dresses are so cute! I love them! Thank you so much for the tutorial! I am going to have to make these for my girls! 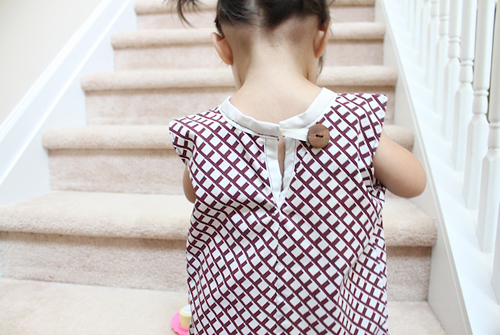 your blog is the perfect place for ideas for the kids clothes week challenge! SUCH ADORABLE IDEAS YOU HAVE !!! i can’t get over how cute the fabric is on the brown/white dress.